In order to stick to your budget, prioritize the most essential aspects of your special day. Number every detail of importance from the ceremony, attire, reception to the honeymoon. By prioritizing the most important details, it allows for decisive wedding planning and reduces the chances of you adding more than you can manage. Find one shop for wedding attire. Shop for your gown at a bridal shop that carries an extensive inventory of leading designers and different price points. This saves times by avoiding shopping at several different boutiques. Here in Georgia, we have the celebrated bridal salon, Bridals by Lori, made famous by the cable television show, “Say Yes to the Dress: Atlanta.” The bridal store has an extensive collection of wedding dresses and bridesmaids dresses, and even accommodates the groom and groomsmen, mother of the bride, flower girls, and other wedding attire accessories. This way everyone can order and schedule fittings at the same time. When it comes to the bridesmaids dress selection, it’s impossible to please everyone. Not to mention coordinating everyone’s schedule to try on a ton of dress styles. Instead of selecting one style bridesmaids dress, choose one color. Then, let each of your bridesmaids select a style that suits their figure and personal style. Looking for the perfect all-in-one destination wedding venue? The King and Prince hosts beautiful wedding ceremonies, receptions and honeymoons! Shop in bulk. Save time shopping around for gifts to dole out to your guests and wedding party. Retailers, such as Sam’s Club, Costco and party planning stores offer troves of fun party goods. For unique wedding party favors, trinkets and even jewelry for your bridal party, try Etsy.com. Some Etsy merchants even offer bulk rate prices on their unique wedding party offerings. Find an all in one wedding destination. Alleviate the stress of going from the church, the reception hall to the honeymoon. Opt for a destination wedding, where the venue can accommodate all three facets of the wedding. 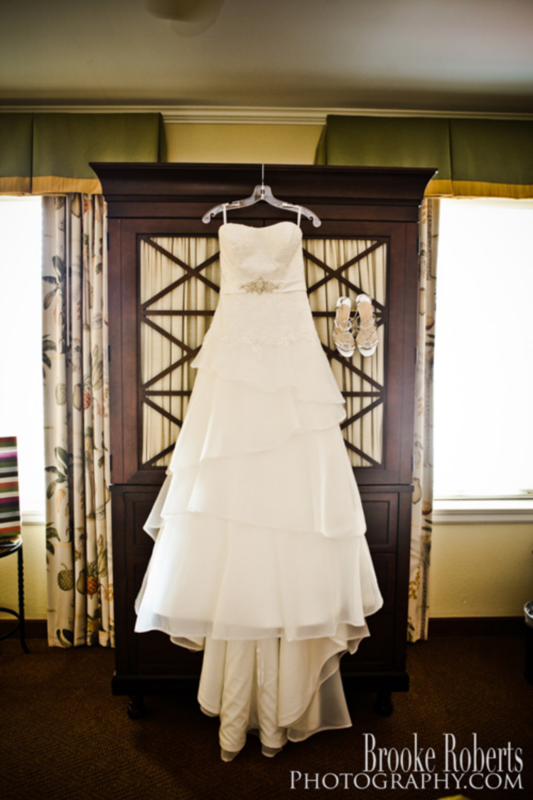 Beautiful wedding dress from an oceanfront wedding at The King and Prince Resort. Photo courtesy of Brooke Roberts Photography. A shortlist of the most coveted designers trending in wedding gowns 2014 are Nicole Miller, Monique Lhuillier, Oleg Cassini, Caroline Herrera and Vera Wang to name a few. Texture rages on among wedding gown trends 2014. Clad in beaded sheath dresses, pearl, handmade appliqués, wedding dresses are weightier than ever this year. The roaring 20’s élan is huge this year, courtesy of The Great Gatsby popularity. With that trend in mind, look for glamorous embellishments and tea length wedding gowns in 2014. 1920’s inspired beaded head pieces complete the look! Crystal is a reoccurring trend in wedding gowns. Designers are choosing crystallized Swarovski elements and hand sowing them into the fabric. The traditional wedding gown never expires. This simplicity bespeaks elegance for some brides. And among wedding dress trends 2014, powder blue is the new white. Some wedding gown designers are including the palette in their collection. Originally, the “something” blue part of the nuptials symbolized purity. Nevertheless, a powder blue dress bespeaks serene, virtue. This blue dress from the Sareh Nouri collection or this blue and white dress from Oscar de la Renta are perfect examples of this trend. Lace conjures a feeling of romance. And as lace makes a comeback in everyday fashion, it’s only fitting that the fabric is a favorite trend this season in wedding gowns. Duchess silk satin is another material favorite among the wedding dress trends of 2014. While the mermaid dress has not disappeared from the wedding gown trends of 2014, the A-line wedding dress proves forgiving on any body type. And once you’ve selected the wedding gown of your dreams, the rest of the details, such as the wedding venue, cuisine and entertainment will start to fall in place! Getting married this year? Here are just a few of the fun and exciting trends to look forward to in 2014! This year’s wedding gowns arrive bedazzled in crystals, pearls, and other spectacular elements. “The Great Gatsby” inspired gowns from the 1920’s are also on trend this year. 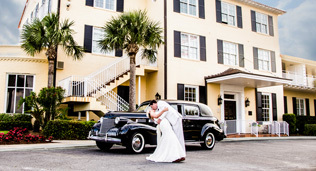 Our historic resort and a vintage car rental from Martin’s Wedding Transportation are perfect for a vintage-inspired wedding! Keeping with the “The Great Gatsby” inspiration, wedding planners say that lush, romantic weddings are on trend. Think romance and elegance when choosing your venue and décor. Tip: Illuminated by candlelight, burlap and crystal are common accessories of wedding centerpieces this year. Going back to their heritage, chefs and caterers are seeing more requests for cuisine specific to the bride and grooms culture. At The King and Prince, native Southerners find comfort in the culinary offerings such as fresh seafood, Southern BBQ, or a low country boil! Even though cakes remain a standard, wedding caterers forecast that gluten sensitivities will put fresh fruit in the spotlight at the dessert table. As new trends turn up at wedding dessert stations, some national patissiers predict that cupcakes and doughnuts are becoming passé. Southern style mini biscuits, filled with fruit jam and whipped cream, are making a comeback. While some brides are aiming for the romantic elegance of the 1920’s, some brides aren’t looking quite that far back for inspiration. According to The Knot, the 90’s are back! They are predicting 90’s music, hip hop groups, or even break dancers at the reception so your guests can party like it’s 1999! Once the vows have been exchanged, let the celebration begin. To keep the party abuzz beyond a one day affair, more elaborate wedding parties are extending the festivities over a course of several days, typically three. These multi-day nuptials involve activities that include the bride and groom’s guests. A ladies spa day, cooking classes, wine tastings, golf outings, and even boat tours represent a short list of things to keep the wedding celebration rolling. Thinking of a wedding at The King and Prince Resort? Call our weddings team at (912) 268-5002 and let them help you bring your vision to life! Tapping into the local farms while creating new menus was a no-brainer for our Executive Chef Jason Brumfiel. He understands the importance in providing restaurant patrons with the freshest ingredients while supporting our neighbors. We are excited to be featuring many local farms and seafood markets on the menu at ECHO Oceanside Restaurant and Lounge. Here are some of the names and products you can expect to see featured on our menus. 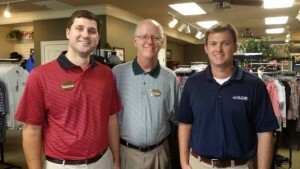 Sunset Farms of Valdosta, GA has been owned and operated by the Carroll family since 1918. Founder Walter W. Carroll started by selling two sides of beef a week to a local meat market in Valdosta, GA. In 1932, his son James D. Carroll joined him and together they purchased the land where they still sit today. Although the family had long been a supplier of meat to the surrounding areas, it was a sausage recipe created in 1969 that would become the pride of the company. To this day, that same tried and true recipe is still being used to make their famous sausage. Some of their products include; Beef sausage links, fresh ground sausage, boneless ham steaks, Chitlins, Chicken Sausage, bacon and specialty made private label sausages. All of their products are gluten free. Gayla’s Grits is owned and operated by Kevin & Gayla Shaw of Lakeland, GA. Kevin is a local farmer who produces corn, cotton, peanuts, wheat and olives. The grits were born from an idea they had in 1997 to grind corn into grits for their own consumption and to give as gifts to friends at Christmastime. Today, they produce all-natural grits by growing corn with 100% non-GMO heirloom seeds. 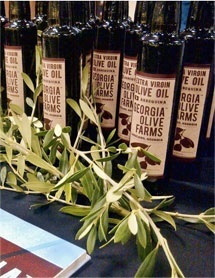 GA Olive Farms began in 2009 when five farmers in Southeast Georgia had a dream of resurrecting olive production in the Southeastern United States. Because of that dream, they are proud to harvest the first olives east of the Mississippi since the 1800’s. 99% of the olive oil used in America is imported and most of the 1% that is produced in the United States is from California but Georgia Olive Farms is proud to be part of that 1%. They are based out of Lakeland, GA and supply some of the freshest olive products on the East Coast. Their olive offerings include: Arbequina & Chef’s Blend olive oils and olive trees. Select a wedding destination to accommodate the ceremony, reception, and honeymoon. Hire a wedding planner, who specializes in producing wedding events in the area. Then fill in the other details (attire, invitations, and travel). Location generally trumps the top criteria in selecting an oceanfront wedding destination. Note that the further the destination wedding, the more expensive travel will be for guests. For instance, Hawaii, the Virgin Islands and international wedding destinations can be off putting for family and friends, who do not have the wherewithal or a passport. 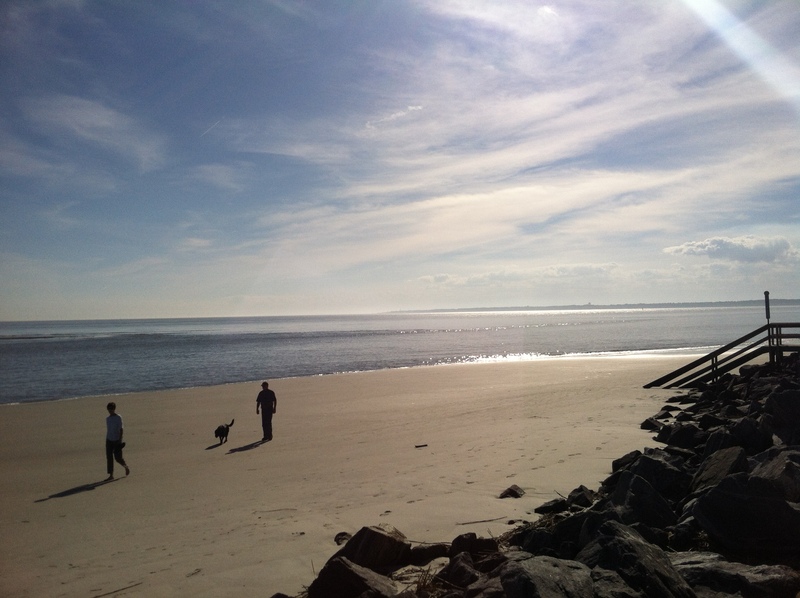 (We are partial to staying stateside – St. Simons Island, anyone?) 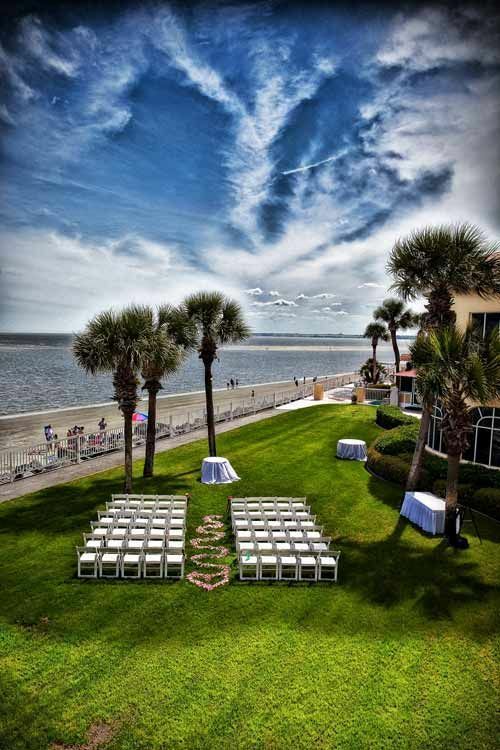 At the oceanfront wedding destination, consider hiring a wedding planner to manage the flowers, centerpieces, cake, entertainment, and other local vendors near the wedding destination. (On the day of the event, a wedding planner oversees last minute details, alleviating any last minute fires for you to man.) Review wedding destinations where the airport and other travel details offer the easiest logistics. The Jacksonville International Airport and Savannah/Hilton Head International are both convenient for guests flying into the area. 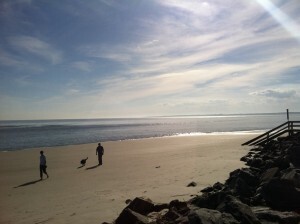 The drive from either airport to St. Simons Island is less than an hour and a half. 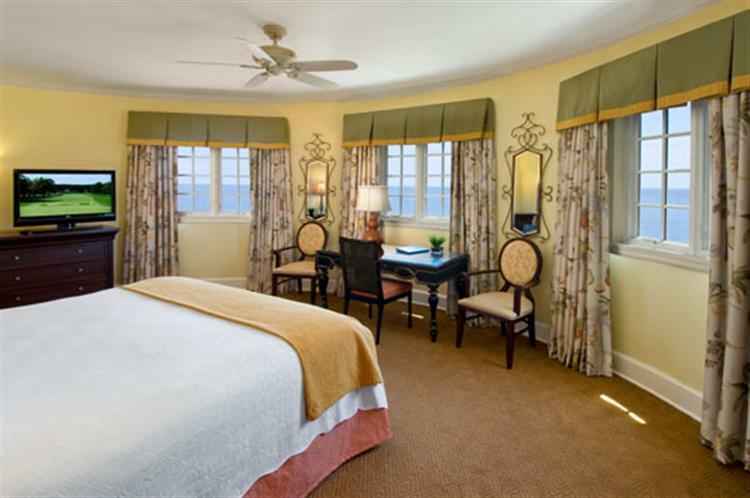 A personal view of the Atlantic Coast is always a complimentary amenity from the Governor’s Suite at The King and Prince Resort! Weddings, planned during off season, generally afford more value and savings. January through March is typically off-peak season at most resorts in the area. Because hotel properties have fewer bookings during this time, planning a wedding allows for less time and expense. Don’t forget the honeymoon suite! In addition to finding a location within a 2 hour drive from the airport, consider wedding destinations where there are plenty of stores to shop for last minute bride and groom needs. The last secret in planning an unforgettable trip for your guests is to opt for one nearby tourist attractions, restaurants, and other amenities to accommodate everyone. Let this be a vacation for them, too! 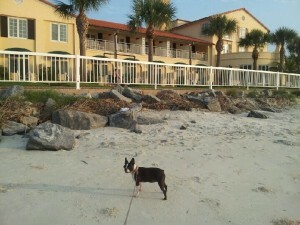 Did you know that we are now a pet-friendly resort? Let your puppy play in front of The King and Prince Resort! 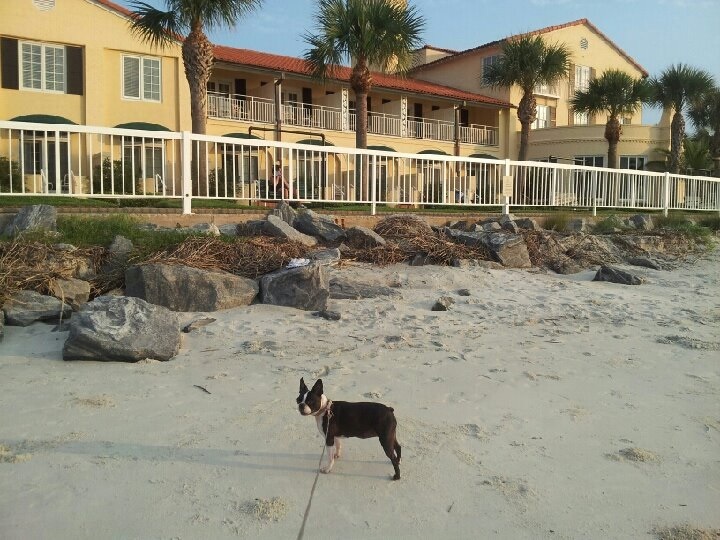 If you have visited the resort or St. Simons Island with your pet and snapped some photos of your pet at our resort, we would love to see them and add them to our Facebook album. Throughout the year, we will choose winners who will receive 1 complimentary night in one of our pet-friendly accommodations! Send your photos along with your name and telephone number to kingandprinceresort@gmail.com. For more information about our pet-friendly accommodations, visit our website.